Click any image of this 1994 Chevrolet Corvette to engage HD Image Gallery. 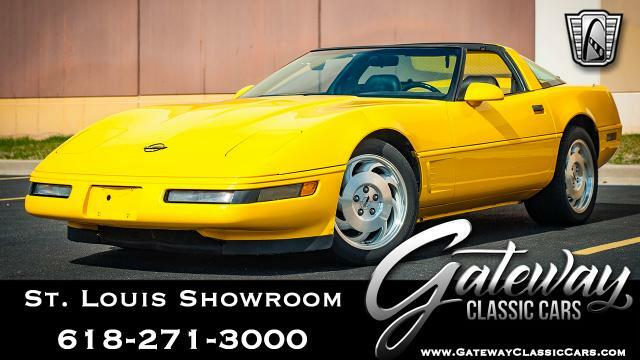 For Sale in our Detroit Showroom is a very low mileage 1994 Chevrolet Corvette Convertible. This very desirable two-seater sports a beautiful color combination of Admiral Blue exterior with a Gray leather interior. The introduction of the C4 Corvette paved the way for the Corvette to be the greatest American sports car to ever hit the road. 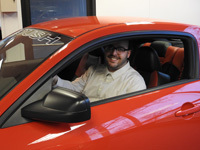 As you slide into the power multi-function driver seat, you are gripping the wheel of an All-American beast that is ready to unleash all of its 300 horsepower and 340 pound feet of torque at any given moment. 1994 also marked a redesign in the interior of the C4 which added a passenger side air-bag for safety, and the LT1 350CID 5.7 liter V8 received a mass air flow sequential fuel injection. This beautifully maintained Corvette still purrs just like the day she rolled off the line and has plenty of life left for long summer cruises with the convertible top tucked behind you. 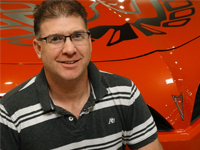 The 4-Speed Automatic Transmission shifts smoothly and effortlessly and is strapped to a posi-traction original rear end with a highway friendly cruising gear which encourages long distance travels in your new Corvette. This specific C4 is resting on a set of chrome Corvette C4 style wheels wrapped in very sticky radial tires. 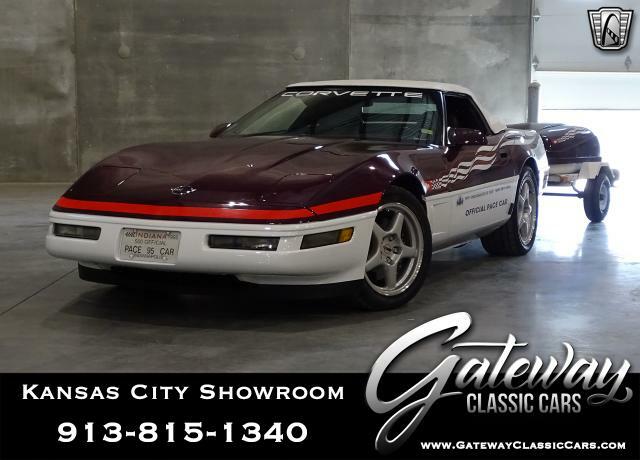 If you are looking for a very well maintained Corvette with a desirable color combination, you can end your search here. 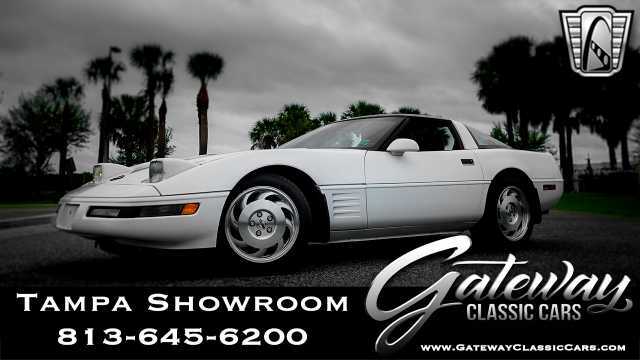 For more information or documentation on this gorgeous Corvette, please do not hesitate to email us at Detroit@GatewayClassicCars.com or call to speak directly with one of our friendly and knowledgeable sales staff at 313-982-3100.